The National Football Collection is proud to be appointed as the Official Valuation Partner of the National Football Museum. 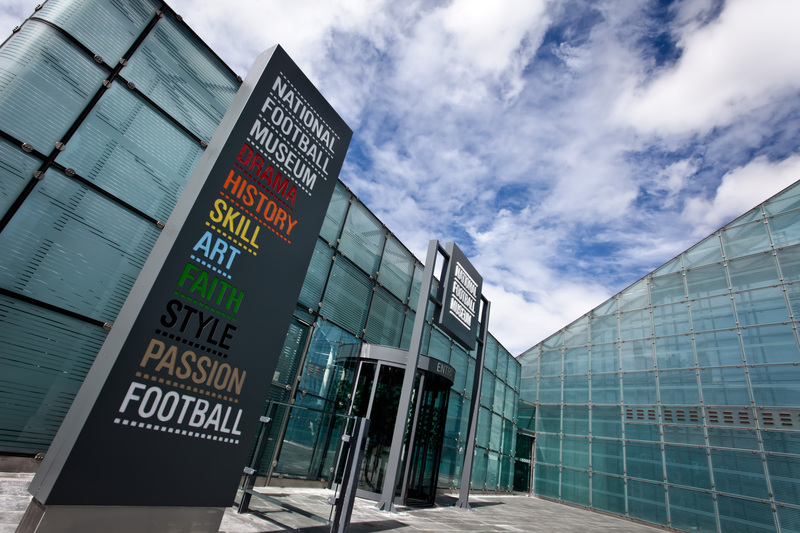 Whether you’re a collector, or just curious to find out more about your old football memorabilia, The National Football Collection (NFC) will be attending the museum on a regular basis to value, advise and acquire your football related and sporting items. An item that you own could even find its way to being displayed at the museum for all visitors to see. The service the NFC offers is unique; not only will funds be available on the day to purchase items brought in for valuation, but a representative from one of the UK’s leading Specialist Memorabilia Auctioneers will also be in attendance to provide an option to consign to auction. The National Football Collection is the brainchild of Neville Evans, a passionate fan of the beautiful game, who supports many football projects, as well as helping families of retired footballers. His collection forms an important part of the museum’s displays. Some of the objects currently on display from Mr Evans’ extensive collection include The 1930 World Cup Final Match ball, Pele’s shirt from the 1958 World Cup tournament and original Spitting Image puppets of Eric Cantona and Paul Gascoigne. If you can’t get to one of the valuations you can visit the NFC website www.thenationalfootballcollection.org.uk or phone NFC consultant William Andrews on 07896 037822 to discuss your needs. Future valuation events will also advertised via The NFC website once dates are confirmed, and we hope to hold a number of events at various venues around the UK. You can also view a growing portion of this vast memorabilia collection online at www.thenationalfootballcollection.org.uk, with some of our most recent items coming from the likes of Sir Bobby Charlton, Stan Mortensen and the late Sir Tom Finney. A real treasure trove for any football fan!